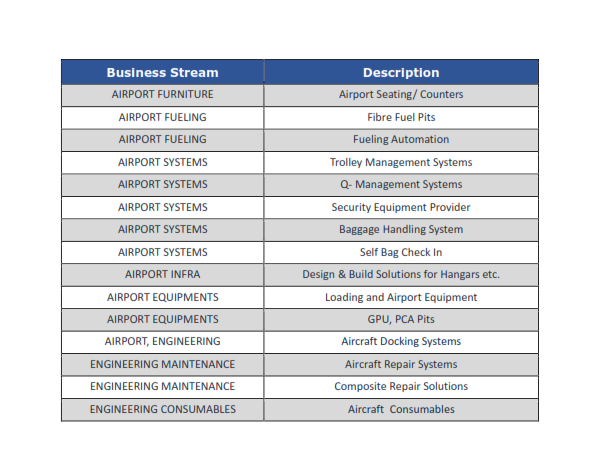 Millennium has established itself as a market leader in Aviation Ground Support Equipment Market in India. Our ISO certification ensures that our business practices remain to a high standard and are sustainable. Our processes help us recruit and support a highly professional and experienced team and helps us regularly monitor and react to customer feedback. Through its association with world’s leading equipment manufacturers, Millennium has managed to retain a healthy market share and simultaneously introduce technologically advanced products for the very first time in India. Today, under its Airport and Aerospace division, Millennium offers its customers with sound expertise and a diverse portfolio of aviation products such as Ground Support Equipment, Airport Infrastructure Equipment, Aviation Fuelling, IT Automation Systems, Aircraft Engineering and Tooling Systems, Aviation Consultancy Services, and Comprehensive Product Life Cycle Support. Millennium provides complete package of equipment and services for Maintenance, Repair, and Overhaul stations. We can actively participate in large scale projects and can manage your requirements on turn-key basis. Through our association with reputed OEM’s of hangar infrastructure and equipment, we can assist your project right from designing of your hangar, selection of suitable equipment and systems, commissioning, and periodic service and maintenance. Millennium has the rights to Sell, Market, Supply, Install, Test, Commission and engage in Warranty Management and Product Life Support for more than 20 international principals in the Aviation and Aerospace Sector. Aeropure UV Systems Pvt. Ltd. Through an extensive Worldwide Sales and Service network, TLD provides its customers a complete range of ground support equipment, designed and assembled in the groups industrial sites located on several continents. Their customers include Airlines, Airports, Cargo Airlines, Ground Handlers, and Military organizations all around the world. TLD offers a wide range of Ground Support Equipment, consistently reviewed by their engineering teams in order to assure evolution, meeting and adapting to their customers specific requirements. Performance as well as simplicity, high reliability and low maintenance costs continuously drive their engineering efforts. TLD has been a partner with Millennium for over two decades. Millennium works closely with Airlines, Aircraft OEM's, Financial Institutions and MRO's to help find the ideal solution to your problem. Millennium's focus is primarily fuel efficient narrow and widebody aircraft to improve efficiency for our customers. Founded in 1864, Deutz AG is the world’s first engine company. Today, Deutz is still one of the world’s leading independent engine manufacturers. They offer a broad spectrum of liquid-cooled and air-cooled engines with capacities ranging from 25 kW to 520 kW, which are used in construction equipment, agricultural machinery, commercial vehicles, aviation and ships. Millennium has partnered with SACO Airport Equipment based in Mierlo, The Netherlands. SACO Airport Equipment (SACO) is renowned worldwide as an experienced organisation which is specialized in the development, production and delivery of air cargo handling and storage systems. Millennium will be providing installation, commissioning and operational expertise to SACO Airport Equipment B.V. for their range of air cargo handling and storage systems. SACO's extensive portfolio is filled with solutions in the area of air cargo handling. Ranging from conveyor decks, truck docks, dolly docks, build-up break-down workstations, weighing systems, multi-level storage systems incorporating (elevating) transfer vehicles, to complex control systems and overall Material Handling Software and management IT-systems. Millennium have sold an Air Cargo Handling System to MGH Group a logistics company in Dhaka, Bangladesh. Millennium's team has provided in country Installation, Commissioning & Service Support to SACO in Dhaka for this project. Millennium hadalsobeen involved in 24 x 7 Operations and Maintenance of the ETV Cargo System at NSCBI Airport, Kolkata. KG Aircraft Rotables specializes in the supply and repair of aircraft rotable components including component leasing and power by the hour support. Millennium provides market consultancy to KGAR for its B737 Military support programs in India. In addition Millennium is also assisting in the Landing Gear Overhaul Management program newly introduced by KGAR. Millennium is in exclusive representation agreement with Sage Parts International for their portfolio of aftermarket GSE spares for the Indian Territory. Sage Parts is the world market leader in replacement parts for ground support equipment. 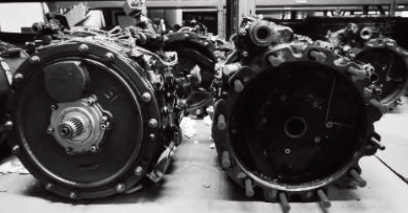 Through their extensive inventory of GSE replacement parts, Sage Parts for over 50 years, has been an unparalleled supplier of GSE parts to a broad customer base including the largest international carriers to the smallest regional airlines as well as freight carriers, package companies, ground handling companies and many other aviation companies around the world. It strives continuously to offer services to its client by increasing the availability of every part used in GSE and is constantly increasing its inventory. Whether it be hoses for ACU or cable wire for GPU. Millennium has remained a front-runner in Ground Support Equipment business in India and through its strategic partnership with Sage Parts, it now becomes the only company in India providing a 360 degree service portfolio right from the supply of GSE, spares and logistics support to long term service and maintenance support. Shenzhen CIMC-TianDa Airport Support Ltd.(CIMC-TianDa) is one of the subsidiaries of China International Marine Containers (Group) Ltd. (CIMC). It is a professional enterprise in the design, development, manufacture, installation, and maintenance services of airport & seaport equipment, modern automated material handling solutions and technology, and auto-parking systems. Millennium provides Product Support & Service for the Passenger Boarding Bridges and has successfully worked on projects with CIMC – Tianda at multiple airports in India. Oshkosh is the global leader in the sale of high performance specialty trucks and truck bodies. Oshkosh Corporation is a U.S.-based global manufacturer with a significant manufacturing presence in the U.S., Belgium, France, Italy, the Netherlands, Romania, Sweden and the United Kingdom. Oshkosh currently sells products in more than 130 countries around the globe. Products include STRIKER Aircraft Rescue and Fire Fighting Vehicle (ARFF), STINGER Rapid Intervention Vehicle (RIV), Mobile Command Posts, Mobile Command Patrol Vehicles, Mobile Medical Vehicles, and Communications Vehicles. The Striker range of ARFF vehicles from Oshkosh are considered as Porsche 959 of fire trucks! ITW GSE (Illinois Tool Works Group) headquartered in Chicago is today one of the world's leading manufacturers of 400 Hz and 28 VDC solid-state ground power units, known in the market for a reliable modular design, simple operation and a high level of flexibility. The largest provider of Ground Fuelling Products and Services worldwide for commercial and military aircraft and tanker refuelling, the AVERY HARDOLL and WHITTAKER Controls brand names are synonymous with fuelling equipment. Both Avery Hardoll and Whittaker Controls command World-wide reputation for their simplicity in design, quality and long trouble free service life. Team MILLENNIUM is proud to be associated with MEGGITT Fuelling Products as their Product Support and service providers for INDIA and SRILANKA. Millennium Aero Dynamics Pvt. Ltd. is the exclusive marketing support partner for Skylink Inc. in India. Skylink International, located in Sanford, Florida (USA) is not your regular aircraft spares company. They are the Solution Provider selling everything from the skydrol to the turbine engine. Millennium Aero Dynamics Pvt Ltd. is ZF's aftermarket Service Partner for the Aviation Sector / Off-Highway Systems. 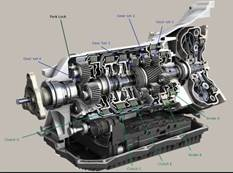 We will provide ZF’s aftermarket services such as repair, warranty management & spares support. ZF Friedrichshafen AG, also known as ZF Group, and commonly abbreviated to ZF (ZF = "Zahnradfabrik" = "Gear Factory"), is a German transmission manufacturer headquartered in Friedrichshafen in the south-west German region of Baden-Württemberg. Specialising in engineering, it is primarily known for its design, research and development and manufacturing activities in the automotive industry. It is a worldwide supplier of driveline and chassis technology for cars and commercial vehicles, along with special purpose equipment. It is also involved in rail, marine, defence and aviation industries, as well as general industrial applications. ZF has 230 production locations in 40 countries with approximately 138,000 employees. Millennium Aero Dynamics is the authorized representative for Sales & Service for Eternity Technologies’ products. Eternity Technologies is amongst the largest manufacturer, spread across 100 countries worldwide to the demanding needs of the global industrial traction battery. Based in the dynamic and vibrant United Arab Emirates, Eternity Technologies have developed a state-of-the-art manufacturing facility utilizing the latest design, manufacturing processes and customer-focused management systems to not only meet the needs of the global power market but define them for the future. ET with their expertise in the segment has involved in the design of a “Lean Battery Room” which accounts for good Battery Management System and with the strategic partnership with us, we can offer comprehensive solutions. Aeropure UV Systems Pvt Ltd is focused on delivering solutions for air quality, based on Ultra Violet germicidal technology to the Indian and International Markets, with wide ranging applications in Indoor air quality, energy conservation of air conditioning systems and for Germicidal disinfection of Indoor Air and Surfaces. Hydro is the world's leading manufacturer of Aircraft Ground Support Equipment (GSE) like Tripod jacks, Towbars, Axle jacks and Maintenance Tooling. Hydro's global organization of more than 350 employees is fully committed to meet the demanding needs of the market with high quality products and outstanding service. Hydro closely works with customers that are located in more than 170 countries to help them define and achieve their business and technical goals. Their far-reaching commitment to research and development, combined with the skills of well-qualified employees, ensures total customer satisfaction. This has been appreciated by more than 700 customers worldwide. Axle Jacks, Tripod Jacks, Tow Bars, Tail Support Stanchions, Weighing and Testing Systems, Service Equipment, Landing Gear Equipment, Shoring Equipment, Engine Handling Equipment, Equipment for Nitrogen/ Oxygen Tyre and Brake Change, Proof Load Testing Fixture, Aircraft Maintenance Toolings. AIRO Aerial Platforms is the manufacturer of state-of-the-art technology and advanced safety systems, holding European “CE” Mark which complies with essential safety requirement. AIRO platforms are achieving gratifying results in terms of sales and product consolidation worldwide. Equipment is manufactured to fulfill various applications which can be observed from their product range from Scissors Lift (5m to 19m), Articulating Boom Lifts (12m to 23m) and Crawler Type Boom Lifts. AIRO has created a support network globally and through it's tie-up with Millennium, jointly provides comprehensive technical assistance. Millennium is an exclusive distributor of KUNZ in India and provides all the local support like Installation, Commissioning and After Sales Support for their equipments. The use of KUNZ Aircraft Equipment lessens the downtime of the airport in case of any incidents and it also reduces the risk of secondary damage to recoverable aircraft to a minimum. Due to its recovery know-how and experience, KUNZ offers the wide range of specially designed Aircraft Recovery Equipment. Each equipment has been carefully designed and engineered to meet the airport and aircraft operator‘s requirements. KUNZ sets standards with leading edge technology for aircraft wheel & brake service and overhaul. KUNZ Aircraft Wheel and Brake Shop Equipment is in use with all major airlines and MRO’s around the world. Millennium is currently working with HAL and assisting them with their outsourcing programme. Aero-Boat is a new-generation air-cushion supported transportation vehicle made of light composite and plastics construction. It is equipped with automobile engines driving aviation derivative propellers. Capable of moving over the surface of water, ice and land.Has excellent amphibious characteristics including water-skimming with a very thin layer of dynamic air cushion beneath. Unlike hovercrafts / hover boats, aero-boats (PT-04) are meant for surface – skimming instead of hovering. Surface skimming allows increased high speed navigation capability. Aeroboats are available in the 8 seat and 12 seat varieties. Tourism, River based transportation and operation both rural and urban, Ecological Monitoring, Leisure management / Water Sports, Coastal Monitoring, Surveillance and patrolling, Search & rescue Disaster Management, High-speed Amphibious Transportation.